While Industrial Production in Germany left a negative impact on EUR, Trade Balance supported this currency. Anyway, traders are paying more attention to the USD. The support rests at 1. 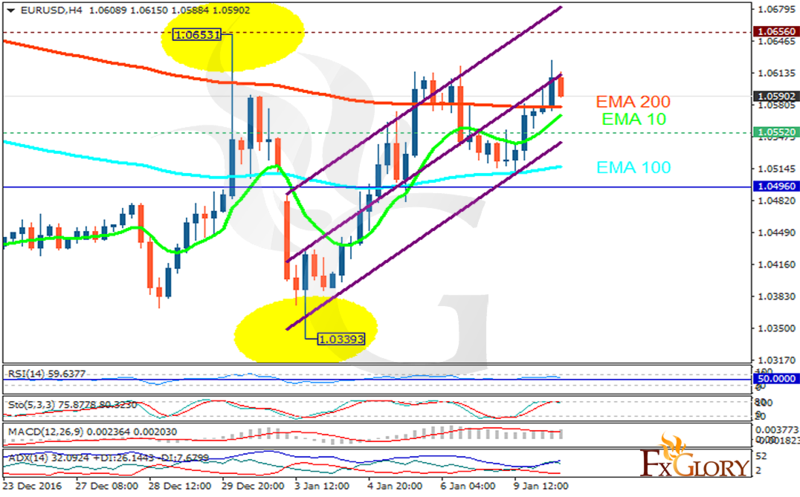 05520 with resistance at 1.06560 which both lines are above the weekly pivot point at 1.04960. The EMA of 10 is moving with bullish bias along the ascendant channel and it is above EMA of 100 and below the EMA of 200. The RSI is moving above the 50 level area, the Stochastic is moving in high ranges and the MACD indicator is in positive territory. The ADX is showing a buy signal. The chart seems bearish targeting 1.050 area.